On Thursday, February 7, the varsity men’s and women’s basketball teams competed against North Forrest in their last home game of the regular season. 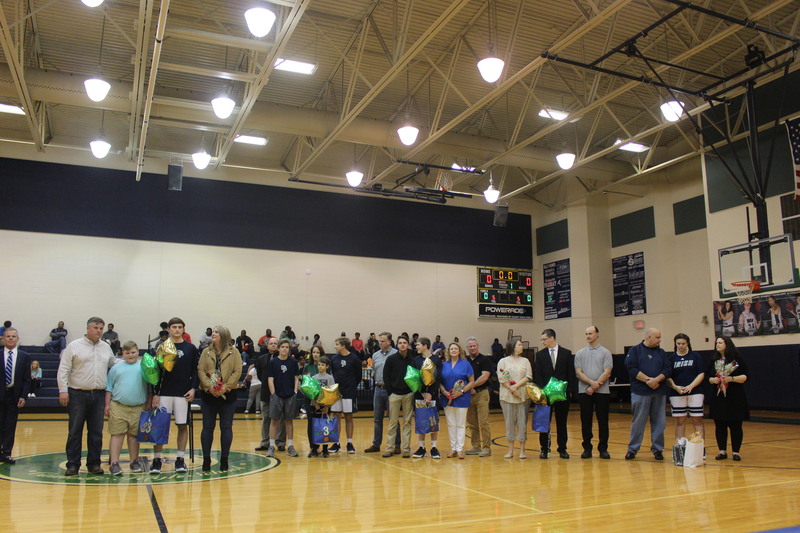 Athletes and families celebrated senior night, where they recognized all the senior players and their accomplishments throughout their high school careers. The women’s game started at 6 p.m. and the men’s game started at 7:30 p.m., with senior night following the end of the girls game. Although both teams fell short of a win, they put all their effort in the games. The final score for the women was 51-29, and the score for the men was 37-34. The next home game is Thursday, February 14, with the girls starting at 6 p.m and the boys at 7:30 p.m. Photos of the games can be viewed here.